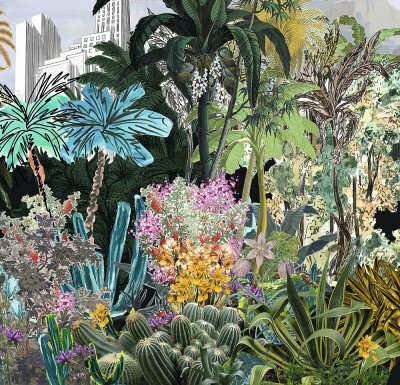 An exotic jungle style garden with cityscape and garden folly created in the montage style. Supplied as a single roll 45cm wide containing 8 lengths of 3 metres 24m in total which together create a mural 3.6m wide and 3 m high. Sorry samples not available.